The 36-year-old was handed a code violation for coaching, a penalty point for racquet abuse and a game penalty for calling umpire a "liar and a thief" and insisting "you owe me an apology". 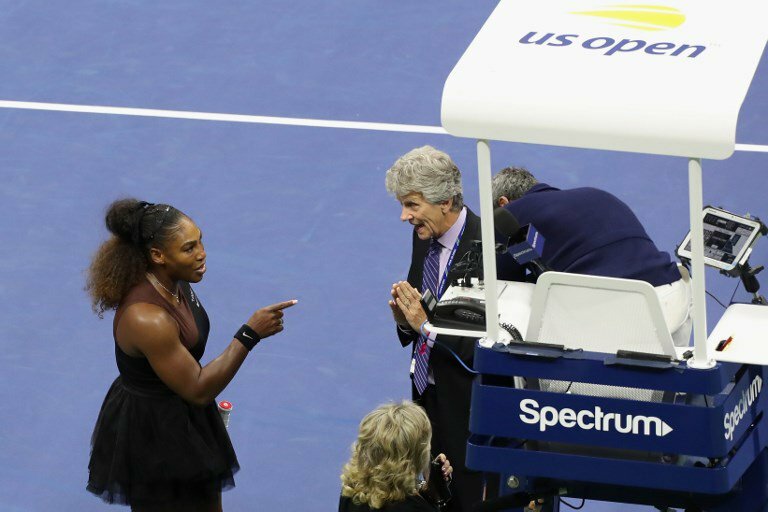 Photo: AFP Serena Williams of the United States argues with referee Brian Earley during her Women's Singles finals match of the 2018 US Open against Naomi Osaka of Japan. Breakfast's Martin Bester feels Serena Williams wasn't entirely wrong. It has already been dubbed 'The Mother of all Meltdowns' by the New York Daily Post. "He alleged that I was cheating, and I wasn't cheating," Serena Williams told reporters. "I've seen other men call other umpires several things. I'm here fighting for women's rights and for women's equality,"
After Serena Williams has been fined more than R259 000 during the US Open final for code violation, Martin Bester is asking "Do you think it is sexism?"